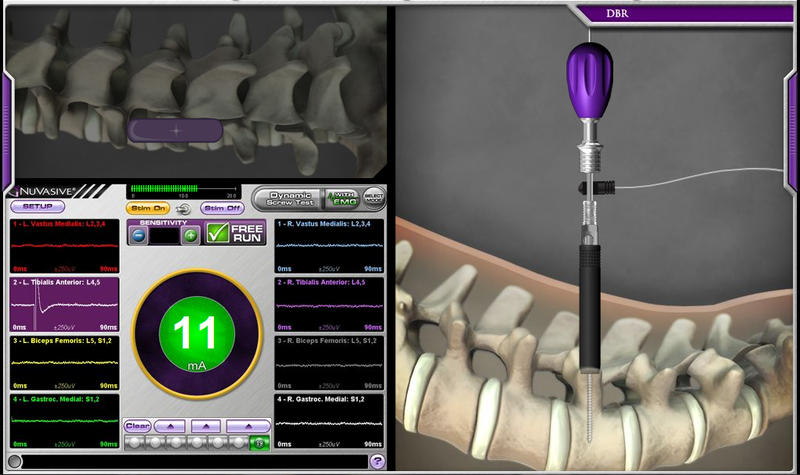 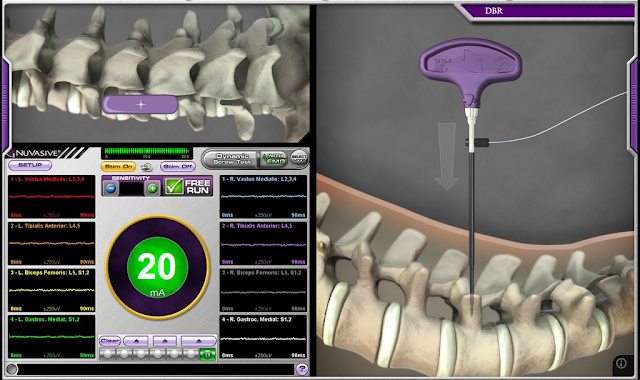 Nuvasive is a medical company that specializes in products for the spine. This is an interactive simulation of one of their products. 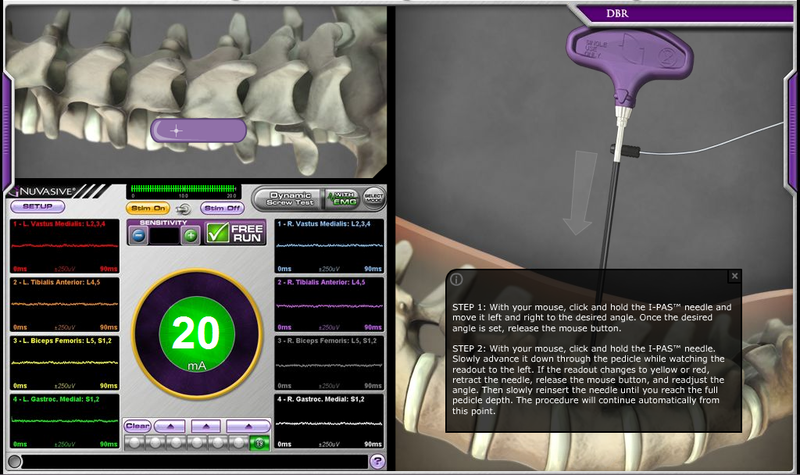 The user needs to position the probe properly by watching the feedback on the display.